Don Antonio, the owner, was very cordial and engaging. The hostel was well located in the center of town and even though I had to park in the street, it generally wasn't too hard to find a spot. Really good stay, the room was nice and the desk man was a good bloke. location is close to the old city, but this time it wasn't convenient because of street's works. Great value for money, clean, much better than I expected! Cheap and cheerful. Staff helped us to our room, and showed us the car park. Very peaceful at night. In the middle of town, a very short walk to bar's and restaurants. 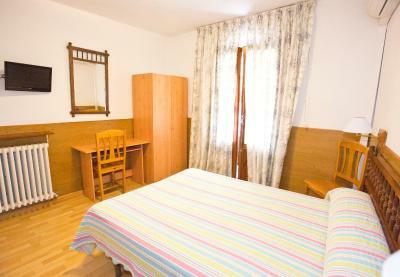 The location is just in the heart of Huesca, walking around is super easy and not far from good bars and restaurants. Staff is very friendly and helping, they suggested us some ideas how to get most out of our stay in Huesca. 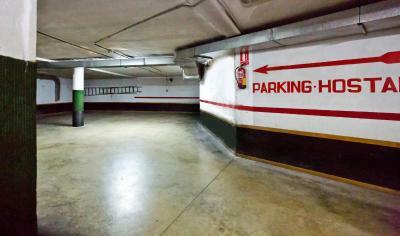 Also there is a secure parking in garage available, so no troubles with finding a place for car as well. Very close to the Cathedral and other places of interest. Nice hosts. Air conditioning. Small refrigerator in the room. The only thing that bothers me now is the fact that I had my foot bitten by some insects at night and I hope those were not any pesky creatures. City centre location with secure garage (extra cost but well worth it) and everything I needed. A well run family business. Quiet night, friendly helpful staff, clean and good value for the price. Hostal Lizana This rating is a reflection of how the property compares to the industry standard when it comes to price, facilities and services available. It's based on a self-evaluation by the property. Use this rating to help choose your stay! 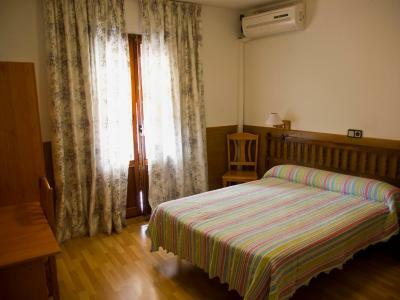 This guest house is in the historic center of Huesca. It is just 650 feet from the Church of Saint Peter, originally built in the 12th Century. Free Wi-Fi is available in public areas at the Hostal Lizana. 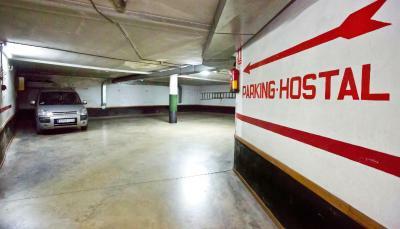 Car rental is possible, and there is a parking lot with good rates. 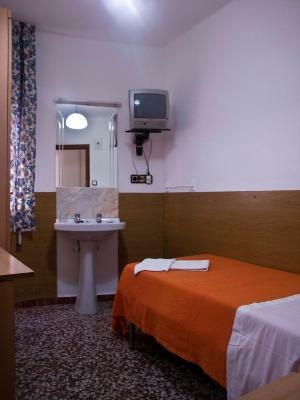 All rooms have a TV with some digital channels and radio. There is a mini-bar in every room. Non-smoking rooms are also available. The Lizana is a short walk from all of Huesca’s monuments. These include the Cathedral, built in 1273. There is a tour desk offering tourist information. Reception is open 24 hours a day. 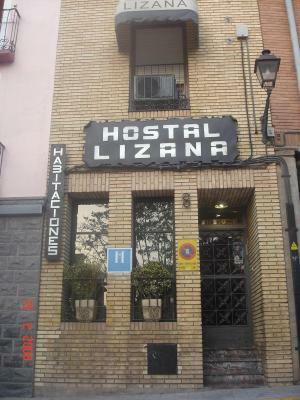 When would you like to stay at Hostal Lizana? 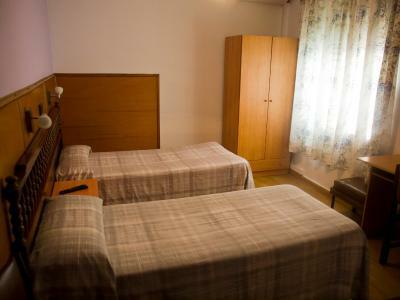 This air-conditioned room features a flat-screen TV and comes with 2 single beds which can be joined together and a private bathroom with hairdryer. 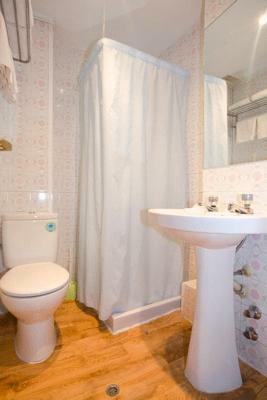 This air-conditioned room features a TV and comes with 3 single beds and a private bathroom with shower and hairdryer. This room features a TV, mini-bar and fan. 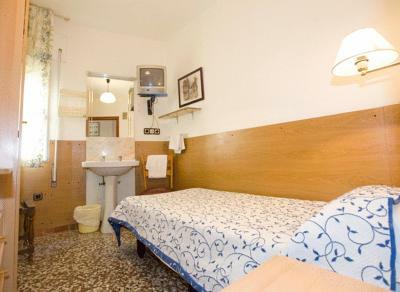 Rooms have all a shared bathroom with hairdryer. House Rules Hostal Lizana takes special requests – add in the next step! One additional child under 2 years is charged EUR 6 per person per night in a crib. Hostal Lizana accepts these cards and reserves the right to temporarily hold an amount prior to arrival. Please note that pets are allowed on request. You can use the Special Requests box when booking or contact the property. A little cold and unwelcoming to begin with, but as I stayed a month and got to know don Antonio things got better. The shower could have been a little cleaner. Everything was alright, nothing to complain about. We were in the annex, the room smells of smoke, the towels were stained, hair in and around the sink, the place feels grubby.